8,873 others viewed this post. 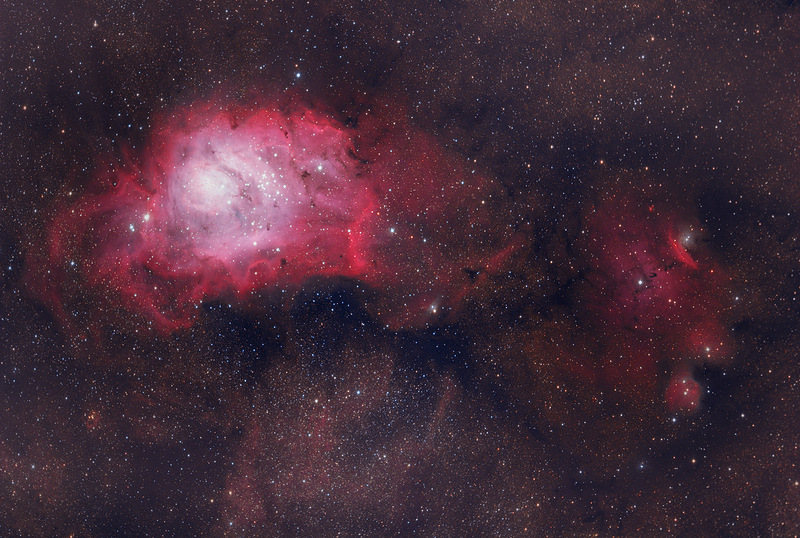 Just finished two nights of imaging for this LRGB image of M8, the Lagoon Nebula framed with NGC 6559 beside it. I just love this dense and bright area filled with star formation and nebulosity and dark veins and clouds running throughout. One of the larger and epic winter nebulas! So good to capture this year with everything I’ve learned! Total 3.8 hours exposure time with Celestron 9.25″ Edge HD, Hyperstar. QHY12 CCD & Baader f2 Ha filter. Processing in PixInsight & Photoshop.